View our collection of engagement rings pre-set with GIA certified center diamonds in 360° view videos. From Halo engagement rings to one of a kind works of art, these diamond engagement rings are ready and set to ship immediately. Rings are shipped with an appraisal and the original GIA grading report. 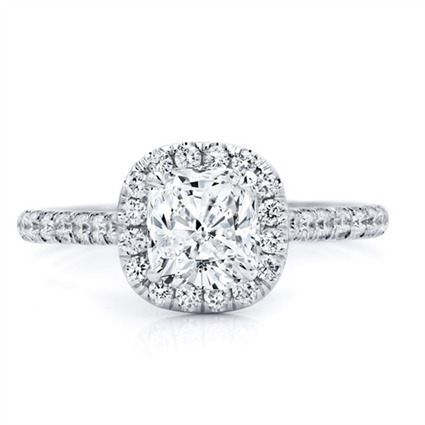 Platinum: $8,431 This french cut pave cushion cut halo ring is cast in platinum and set with a 1.01ct E color Internally Flawless Cushion Cut diamond. It doesn't get more perfect than this. 14K White Gold: $13,970 This french cut pave, cushion cut halo engagement ring is cast in 14k white gold and has a beautiful 1.51ct. 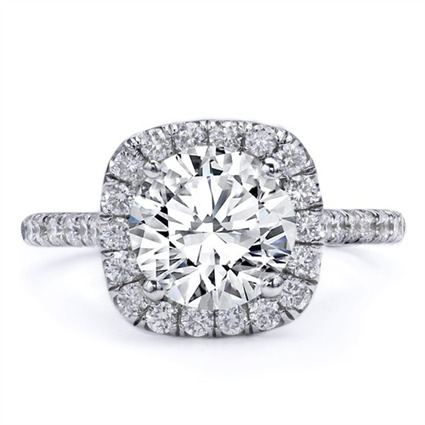 GIA certified G VS2 round diamond in the center. The halo measures 10mmX10mm and perfectly complements the diamond by enhancing and defining the faceting. 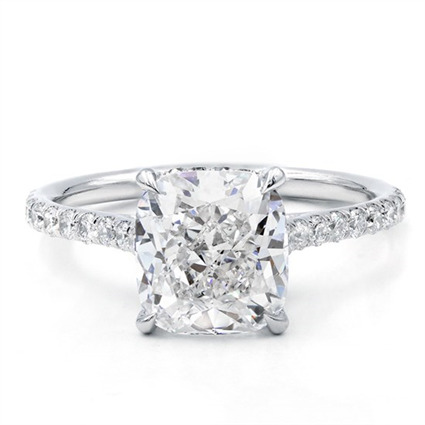 Platinum: $3,257 This engagement ring has a thin dainty band that perfectly showcases this GIA Certified .78ct J VVS1 cushion cut diamond. 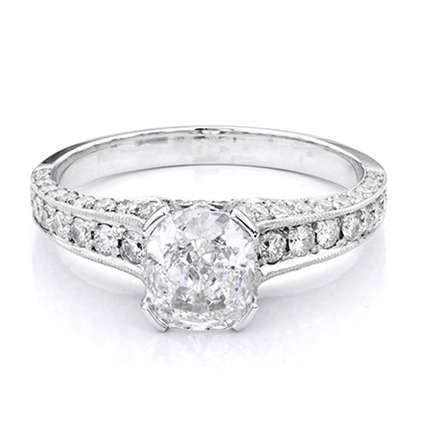 This ring will take your breath away. 18K White Gold: $26,052 This thin band setting with pave diamonds is the perfect setting for the 2.04ct GIA certified Cushion Cut diamond that it holds. F in color, VS1 in clarity and slightly rectangular, this diamond deserves to take the center stage. This ring comes complete with an appraisal and the original GIA certificate. 14K White Gold: $4,960 This unique vintage inspired engagement ring is set with a .90ct GIA certified F color VS2 clarity cushion cut diamond. 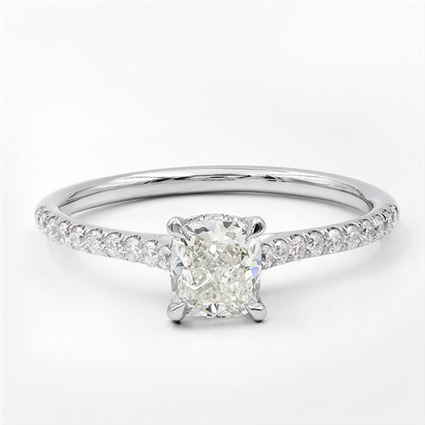 Set with a cushion cut diamond, this ring really reflects a vintage feel with a modern touch. 76 diamonds are pave set on the band and basket making this ring a work of art.